I have to start by saying that this book has a very different base storyline than the others I have reviewed on this blog recently. Bee has had an accident and she is having to come to terms with it and recuperate. She is ushered into seclusion in order to achieve that sole purpose.The intricacies of this are better left for the pages to expand on. 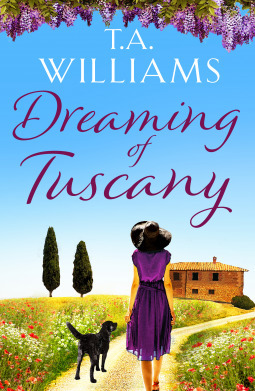 The tale is about Bee and the friendships she forms, and the new-found joy in life and the summer she spends in Tuscany. I think there was so much content in this story that I would have actually liked a slightly scarred representation of the woman in the cover to suit the tempo of the tale. The place that Bee is hiding in has a dog, two interesting men who supposedly do not talk to each other and one of them doesn’t talk to anyone at all. Then there is the other person sharing Bee’s seclusion who turns out to be very different from what she imagines her to be. All in all, it has the best ingredients for a book of this genre. It gives us the highs and lows and the general growth of the lead character as well as all the people we get to know in the process. The problem though was the narration itself felt a little abrupt for me and I did not get as involved as I would have with the people. This usually is just a personal problem and it has happened before. I do recommend this to people who like this genre because of some of the more unique twists in the tale. This book is set to release on Feb 11th and I am glad I got a chance to read this advance copy.